The snow is melting and that means it is time to get outdoors in Indian River Michigan! For more than 30 years, Big Bear Adventures have been providing memorable outdoor experiences for guests of all ages and skill levels. Starting May 1st, paddle the crystal-clear Sturgeon River on our exciting Canoe, Kayak, Raft, and Tube trips. Test your ability while having fun on our 18-Hole Adventure Golf Course or our Ropes Challenge Course and Bumper Boats! We can accommodate groups of all sizes and group packages are available. There is no better way to experience the wonders that spring holds than to coast down the river. 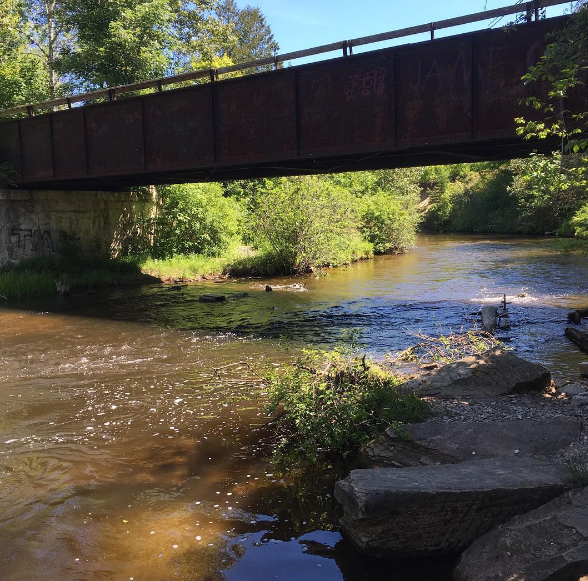 With an average descent of 14 feet per mile, the Sturgeon River is the fastest river in Michigan's Lower Peninsula. Not whitewater, but exciting and challenging with its quick and often tricky current, along with leaning trees, stumps, and logs. The current does most of the work, but it's up to you and/or your partner(s) to maneuver your watercraft down the crystal-clear, spring-fed stream, as it winds its way through the beautiful state forest. The average depth is 3-4 feet, however, there are deeper pools that can reach 5-8 feet, usually around the outside of bends. Plan on getting wet as many of our guests take an unplanned "refreshing" dunk! We recommend Rafts, Tubes, and Cats for families, beginners, and/or less experienced paddlers. We recommend Canoes and Kayaks for more experienced and/or more adventurous paddlers. After a long day full of fun and adventure enjoy a refreshing treat. We have an on-site convenience store with beverages, snacks, ice cream, and candy, as well as a Subway sandwich shop. Our log cabin general store also has river and beach necessities, picnic and camping supplies, T-shirts, jewelry, gifts, and souvenirs. Enjoy our picnic area and don't miss our mounted, 8 foot tall World Record Alaskan Brown Bear! Spring is the perfect time to experience the outdoors as a new world appears from under the snow. At Big Bear Adventures we want to make sure you experience the outdoors in a fun and thrilling way. We offer so many different options of adventure to make sure everyone has fun. So don't wait and spring into action and plan your adventure vacation today. For more than 30 years, we have been providing memorable outdoor experiences for guests of all ages and skill levels. We are located in Indian River, Michigan. Click here for directions. © 2019 Big Bear Adventures. All Rights Reserved.